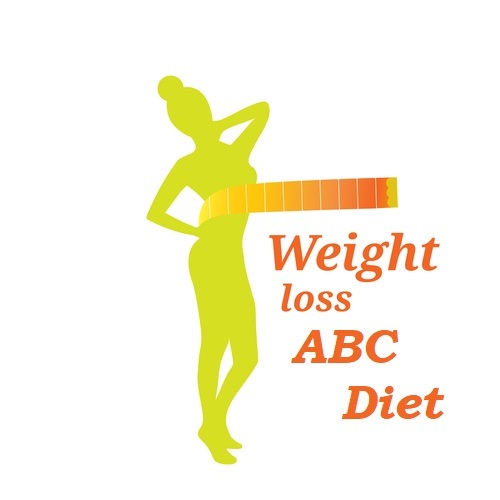 Are you on a strict weight loss diet? Well, I hope you are aware that take certain food or food groups in your diet can hurt your metabolism. If you’re getting confused about everything I am saying, then let me try to explain what metabolism really is first, and how it is affected by our diet. Metabolism, in the simplest explanation, is a biochemical process of burning food and converting it into energy and essential components on a cellular level. This is utilized by the body for breathing, pumping blood, digesting food, thinking, etc. Restricting certain food can greatly affect the amount of nutrients and minerals that your body receives. Also, another misconception that I want to clear out is that boosting metabolism is beneficial to anyone and not just to those who want to increase their fat burning and hasten their weight loss processes. Egg whites, in particular, contains a huge band of amino acids. Amino acids are essential to the cells as it helps carry out metabolic processes. Also, eggs, in a whole, is rich in protein which helps build muscles. Two to three eggs a day are good enough. Lean meat is jam-packed with minerals, especially iron. Minerals are needed by the cells to burn out calories. Do you know why jalapenos, hot peppers, and chilies are hot and spicy? It contains a natural chemical called capsinoid or capsaicin. This chemical commands your hormones to raise your heart rate. Once your heart rate is increased, your body will need more oxygen, hence, your breathing will increase too. Not a lot of people know that inhaling more oxygen can boost metabolism and calorie burning. If you do not like or have not eaten chilies before, you can gradually add bits of it in your salads or sandwiches, and increase the amount once you feel comfortable to do so. For those who are allergic to chilies, you can totally ignore this tip. It is not worth risking your health, plus there are tons more you can eat to help you boost your metabolism. According to studies, the caffeine in coffee helps pump up metabolism, but only in a short period of time. Also, a cup of coffee (black coffee) can burn up to 100 calories. We all know that milk is a great source of calcium, but did you know that calcium helps your body burn fat effectively? This mineral is essential to metabolize stored fat. Do you love bread? If you do, then I suggest you opt for whole grains rather than regular white ones. Why? Whole grains are generally better than regular wheat because it still contains its pulp. A wheat’s pulp is rich in fiber. Fibers contains very little to zero calories, yet it is essential to digestion because it sweeps off bacteria, germs, and left overs in the intestinal walls. Also, consuming food that are high in fiber helps burn more energy because it fools your brain that you’re still full while braking down store fats. As I mentioned earlier, iron is an important ingredient in the ‘boosting metabolism’ and ‘weight loss’ concoction. Based on statistics, 1 out of 5 women all over the world has iron deficiency. This mineral deficiency adds more fat layers on your waistline and increase your risks of more serious health problems like anemia, leukemia, and a lot more. Good thing, a cup of lentils a day can provide you up to half of your daily recommended iron needs. Tea, just like coffee, also contains caffeine, but aside from that, it also has catechins. Both caffeine and catechins are great for boosting metabolism and burning fat. Oolong tea, for example, can burn 100 calories a day in just one cup. Cacao or cocoa are great for baking, hot drink, or chocolate bars. Did you know that raw cocoa has the ability to lessen the absorption of calories? If so, there will be less fat store in your belly. Great! Also, consuming raw cocoa or pure dark chocolate can stimulate your hormones to use fat, instead, for energy. Well, who doesn’t know that wonders of apple cider vinegar, right? It is just great for our body, period. No wonder it is also great for boosting our metabolism. There’s this one study conducted by scientists on mice. Overweight ones were given couple drops of pure apple cider vinegar and their vitals, behaviors, and overall health were closely monitored. In this said experiment, scientists were able to conclude that apple cider vinegar helped reduce the mice’s liver and belly fat. It also helped regulate their weight. A tablespoon of pure apple cider vinegar everyday can burn at least 200 calories. Although, you have to be a little careful on your APV intake because it is a strong acid. A minimum of 3 teaspoons to a maximum of 6 teaspoons would be great. Now that you’ve learned about different food that can boost your metabolism, let me give you some tips on how to change your lifestyle and outlook for a generally better health. • Go for high-protein low-GI (glycemic index) food – in a high-protein low-GI diet, you can have better control of your blood sugar level and lower chance of layering up your fat storage. • Get some sun – sun exposure, specifically in early morning ‘til 9 am, is great for setting your circadian rhythm right. A good and stable body clock means a well-regulated metabolism. • Get some good night’s sleep – enough eye shut at night helps repair your body, give it a good rest, and recharge your energy. According to experts, 7-8 hours of sleep at night can reduce fat on your belly. • Exercise – there’s nothing more I can say here. Exercise, obviously, keeps you healthy and strong. • Less stress more smiles – instead of wasting your time stressing out on something, why not just take deep breaths, watch a funny pranks or cute cat videos, and have a good laugh. Overall, it’s just a good mix of balanced diet and exercise. You’ve probably heard people tell you, “maybe your metabolism is slow that’s why you can’t lose weight”, and you are wondering, what the heck is metabolism and how does it affect weight loss…and weight gain? 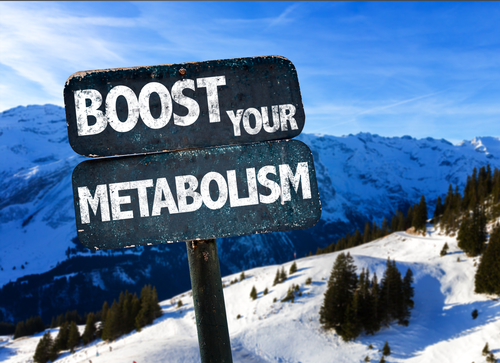 Metabolism is the body’s chemical process of breaking down food to turn it into energy. It is essential to keep the cells and tissues healthy and well-functioning. As we age, our metabolism slows down, hence, it is harder for our body to effectively burn calories. Unused calories will be stored as fat. This is why most people get bigger tummy and arms as they grow older. We eat less if we want to weigh less. Common sense, right? Apparently, that’s wrong. If we don’t eat enough, our body loses muscle mass, and when that happens, our metabolism slows down. Another thing is that eating less triggers our body to conserve energy and slow down the rate of burning calories – a.k.a. metabolism. Are you the type of person who can’t wake up early in the morning and function properly throughout the day without a sip of coffee? Well, you may want to change that. Did you know that green tea is great for boosting metabolism? There was a study a couple years ago regarding the effects of drinking green tea daily instead of coffee. In a 3-month trial, those who drink green tea shed off more weight than those who stayed drinking coffee. Green tea has catechins. It is a flavonoid and antioxidant that aids the liver in burning fats. You will be stuck on a plateau if you do the same exact exercise again and again for weeks. If you are not familiar with it, plateau is a term used in bodybuilding to describe a state or period of time wherein your body no longer responds to your physical activity or even a diet plan. Think of it as watching the same movie at the same hour every day for a month. You’ll know all the lines and plot twists therefore, you’ll no longer be excited to watch it. When you’re on a plateau, your metabolism is also stagnant. The solution to this is easy. Try to take your exercise or workout program up a notch. You can increase the time, number of laps, number of circuits, or amount of weight to give your body more challenge. Monounsaturated oils like olive oil have properties that help burn more calories, hence, maximize metabolism. Also, good fats are great sources of energy, nutrients, and antioxidants. Some people avoid egg yolks because it is high in cholesterol. Well, that’s true, but it is a good one. As a matter of fact, egg yolk is beneficial to hastening metabolic processes. Egg yolks are rich in fatty acids, vitamins, and choline. For those who aren’t familiar with choline, it is a compound that triggers the body to burn fats. I know that cholesterol can be scary, but doctors say that an egg or two a day is good. Protein is a macronutrient that’s essential in building muscles. What does that have to do with metabolism? The more muscles we have, the faster we burn our calories and we all know by now that burning calories involve metabolic processes. Our daily protein needs are different from each other depending on our age, weight, etc., but doctors and dieticians suggest that we eat 1 gram of protein per our weight in kilogram. Also, do not forget to pair your protein with some carbs so your body won’t have a hard time breaking it down. Do you have a desk job? Did you know that not only is sitting for a long period of time bad for your health and back, but it also slows your metabolism down? Our body is built to move and be physically active. Although, I understand that sometimes we can’t help but sit for hours and hours especially if it pays the bills and puts food in our mouths. Here’s the thing, there’s a solution to it. Nutritionists suggest that if you take, say 10 minute-breaks every hour, use it to walk, stand, or go up and down the stairs. These will burn more calories than just plain sitting. Garlic makes dishes taste and smell good, that’s for sure. But, did you know that garlic can help manage your metabolism? It has properties that can control lipid levels and block damages caused by high-carb diet. More so, it prevents heart disease, high blood pressure, stroke, and other serious health problems. I know lots of you are probably in love with milk chocolate and I can‘t blame you because it is really good. Although, it still contains lots of sugar and sugar are carbs. So, go for dark chocolate instead! A study shows that dark chocolate can manage our metabolism, control stress hormone levels, and is jam-packed with antioxidants. Just make sure that it’s really a dark chocolate – 75-80% dark chocolate is good enough. A lot of chocolate companies deceive consumers by putting ‘dark chocolate’ labels, on their products but the truth is they add so much sugar in it so it will not taste that bitter. Oolong tea is a very popular type of tea in Asia, especially in China because it is one of their traditional teas. If you have problems with metabolism, digestion, and high-cholesterol level, oolong tea is a great natural remedy. Oolong is rich in antioxidants and has properties that aid burning calories fast. There you go. Those are my top 10 ways to boost your sluggish metabolism. I make sure that all of it are easy to do and follow. Oh, I have one last tip. Did you know that laughing can burn up to 100 calories? What are you waiting for? Go laugh and have fun! 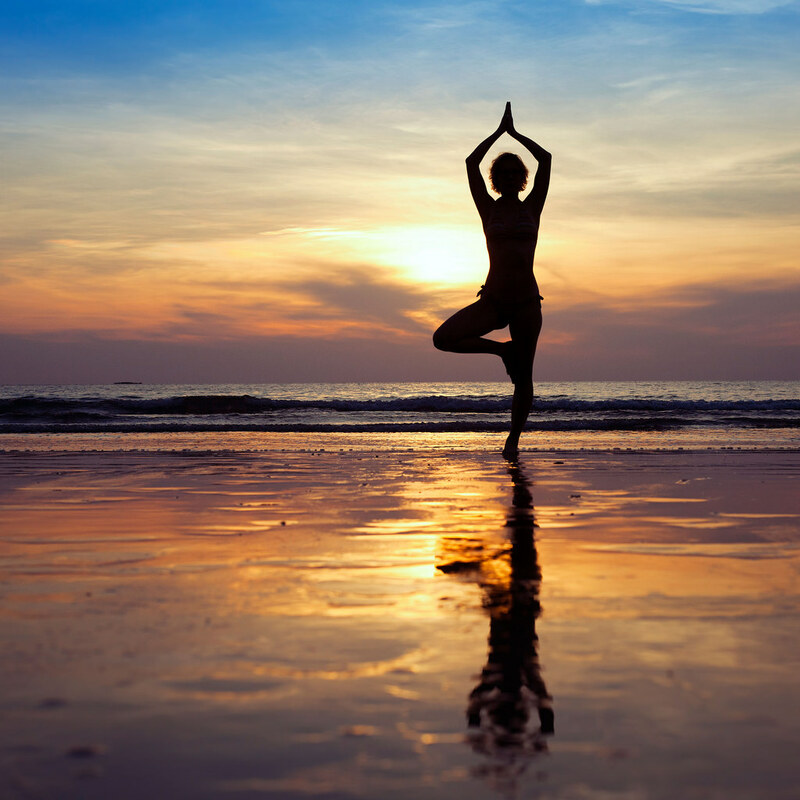 When we think about health and wellness, we usually think of physical well-being. For some of us, it means dropping those excess pounds and eating more fruits and vegetables. For others, it could mean finally taking the step to quit smoking or drinking. There are other aspects of wellness that are just as profound and important as diet and exercise. We need more than nourishment and movement. To achieve ultimate health we must have emotional, physical, financial, and environmental wellness. We can’t be completely healthy when one or more of these aspects are off kilter. Of course, it can seem overwhelming to keep all of these things in alignment at one time. However, if we just take small steps we can slowly ascend into a healthier and happier lifestyle. We all know what we need to do for physical fitness. We need to exercise, eat a healthier diet and stay away from processed, fatty, and sugary foods. For some people, it can be too much of a shock to attempt to change overnight. Instead, try making one change a week. Replace your soda with water one week. Next week add a salad or a piece of fruit to every meal. The following week walk outside or on a treadmill for half an hour. Buy an exercise DVD and use it on a daily basis. The next week resolve to quit buying fast food. Research the various options available for quitting smoking. Set a date for quitting and find a support system. Slowly but surely you can make the shift. As you notice how much better you feel, that you’re finally losing weight and have more energy you will be even more motivated. Instead of overwhelming it will seem as if a new world is opening up for you. Emotional fitness is more difficult but not impossible. Again it’s probably one of the most difficult things for humans to achieve, in essence, because “we’re only human.” We all have issues and personal relationships that need work. Although we all experience similar emotions and scenarios we are all different in how we react and process them. Realizing that you want to improve your mental health is the first step towards doing this. Stress is one of the biggest emotional drains on so many people in this country. Exercise and eating well work to help manage stress. Many people feel that they have too much to do, too many people to take care of and no time to care for themselves. It is important to realize that it’s just as vital to care for yourself as others. You matter just as much as anyone else. Once you realize that you can sort out what it is you need. Do you need a period to yourself once a day? Perhaps you hate your job, and every morning it is sheer torture to drag yourself to it. Resolve to change that. Ask for help. Write down your goals and look at them every day. Change them according to what you’ve accomplished and how your perspective has changed. It will help you stay aware that you are accomplishing things, even if it’s not as quickly as you wanted. Take time for yourself to recharge and ruminate about your inner self. Nobody else can do that for you. Financial fitness is another important aspect of our total well-being. If our finances are jumbled, in debt, or painfully stretched from month to month, then we become stressed out and unfocused. All we can think about is how to pull ourselves out of the pit. The numerous “re-fi” and credit card offers are not helping matters either. Desperate people find themselves plunging deeper and deeper into debt and despair. There are ways out. Again take things one step at a time. First, you have to step back and take a hard look at your finances, what you spend and what is coming in. You might need some professional help to do this. There are numerous qualified people out there who can help. Just make sure you do some research and choose a certified professional with a good reputation. 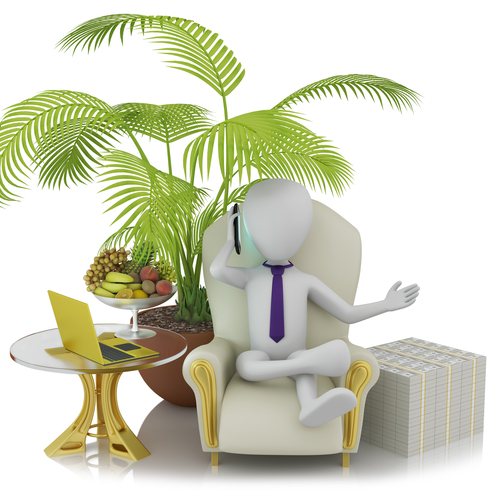 After you have assessed all of your income and spendings take a good look at your lifestyle. Are you living way beyond your means? Do you buy clothes and other things because you need them or because you want them? That is the question to ask yourself from now on. Want, or need? Do you really need the riding lawn mower for your tiny yard? Do you need that pair of shoes when you have ten others in the same color? Do your children need to wear name brand clothes when they grow out of them in a matter of months? Does your small family live in a home built for 8? These are the kinds of questions you have to answer if you want to pull yourself out of debt. You will find more satisfaction from paying off bills, saving some money every month, and easing your financial stress than you will from buying a thing you will probably throw in the closet and forget about. Environmental wellness is the final piece of total health. We’re working on better health habits, stress reduction, paying off bills, but we’re spraying our homes with chemicals to make them “clean.” Did you know that many common household cleaners and detergents have deadly chemicals in them, such as chlorine, chloroform, phosphates and other poisonous and environmentally unsound ingredients? We spray these things in our home to kill bacteria and other organisms and keep our families healthy and clean. We are exposing ourselves to harmful toxins that can build up over time in our bodies and the environment. Green cleaners and detergents are just as effective at cleaning and destroying bacteria without the poisons. They are not any more expensive and are usually sold in concentrated form so you can save plastic too. Every time you run out of one of your chemical cleaners replace it with a green product. Pretty soon you will have a chemical free home this is still clean and healthy. It’s a small step towards environmental health that will have a large impact in the long run. Resolve to make a change each week to be a “greener” person. Each time a light bulb burns out to replace it with an energy-efficient one. If you drive your children to school, turn off your car in the waiting line instead of idling. Take shorter showers. Encourage your children to research online and have them pick a change to make. They don’t have to be big dramatic gestures, like buying a hybrid car, to help. Every little bit counts and you, your family, and the environment will enjoy better health in the long run. Life can seem overwhelming at times, and we can all despair that there is nothing we can do. There are many small steps we can each make to help ourselves and each other. It’s my “tortoise and the hare” philosophy. The rabbit may be the first through the finish line, but the tortoise makes it there too by placing one foot in front of the other. He probably enjoys the view more than the rabbit did. So be kind to yourself and others, value your worth, and keep moving forward. 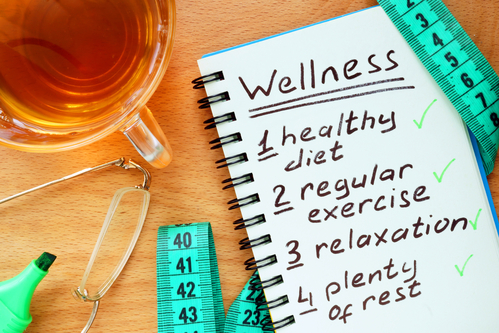 In this article, i’m going to explain the things you need to do to have a good wellness plan, and I’m also going to compare my wellness plan with a wellness plan that you need to stay healthy. 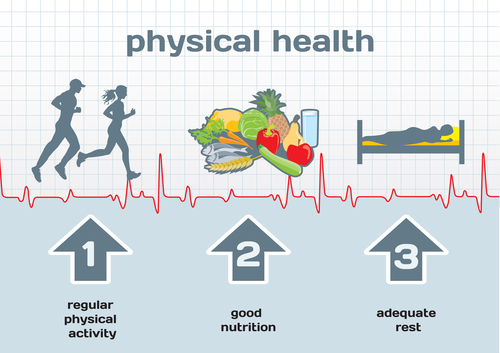 You should choose and eat nutritious foods, exercise daily, get plenty of sleep, learn to avoid and handle stress, and avoid harmful substances. 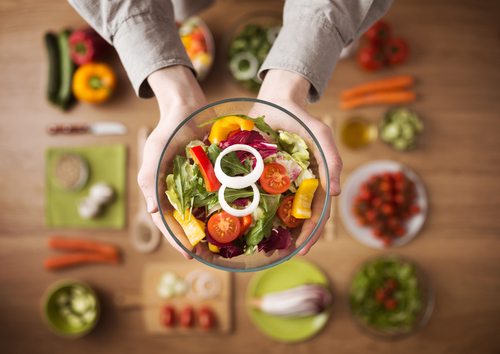 A good wellness plan should include foods from all of the food groups in the food pyramid including fruits, vegetables, meats, dairy items, and bread. I met the standards in the dairy, meat, and vegetable groups. In the fruit group, I should eat more fruit than I usually do if I want to get my daily amount recommended. I need to eat a lot more carbohydrates like pasta, rice, and bread because they are the body’s primary source of energy. It’s also important that you drink 6-8 glasses of water a day depending on your weight because it replaces the water that you lose every day in your body. I’m Considered moderately active because I walk a lot and I think I should exercise more so I don’t become obese by sitting, lying down, and eating. A few years ago my desirable body weight for my height of 5’5″ was 136 pounds and was a medium frame size but my weight was only 115 pounds. There are two types of exercises aerobic and stretching. Aerobic exercises help the body use and take in more oxygen than it normally does, and stretching exercises make you more flexible. I only get about 6 hours of sleep every night, and it is very important that teens get more sleep than adults because of growth and changes occurring in teen bodies. Memories start deep in an area of the brain called the hippocampus and are pushed outward to the neocortex to be consolidated. Old people tend not to remember as much as younger people because they have a harder time falling into a deep sleep. You can tell if you are getting enough sleep depending on how you feel the next morning. Stress, everyone has it, but people handle it in different ways. Some causes of stress are kids hear their parents worrying about their jobs, they may be responsible for younger siblings, pressure to excel in sports, and pressure to do well in school. Symptoms of stress are plummeting grades, deteriorating personal hygiene, dramatic changes, and abusive behavior. I handle stress by not waiting until the last minute to do things. Other ways you can handle stress are relaxing, talking to someone, working out, having fun with your friends, managing your time, and being positive with people. You should avoid harmful substances like drugs and alcohol. This includes taking too many Tylenol, you should only take the amount that the bottle says to take and not anymore because you can get sick. Smoking has been linked to cancer, heart disease, and lung disease, so you want to avoid smoking as much as possible. Drinking is a major cause of auto accidents and even if you do drink do so in moderation. Drugs are another very harmful substance because they interfere with both work and school. The only drugs I take are aspirin and Tylenol, and I take only what the bottle says to take. In conclusion, I have said how to choose and eat nutritious foods, you should exercise daily, get plenty of sleep, learn to avoid and handle stress, and to avoid harmful substances. If you follow the things that I use to maintain a good wellness plan, then you should have a healthy wellness plan. Lemon balm is a plant that belongs to the mint family. The balm, which is extracted from the leaves, has been used for thousands of years as an additive to food and drinks. While it was used as a delicious ingredient for recipes, it also was used to treat many health ailments. Today, lemon balm still is a popular alternative medicine that is used for its healing properties. After studying for over ten years of various herbal remedies, I find that it is no surprise that lemon balm can replace many traditional medications in the medicine cabinet. Lemon balm has natural calming and relaxing properties. 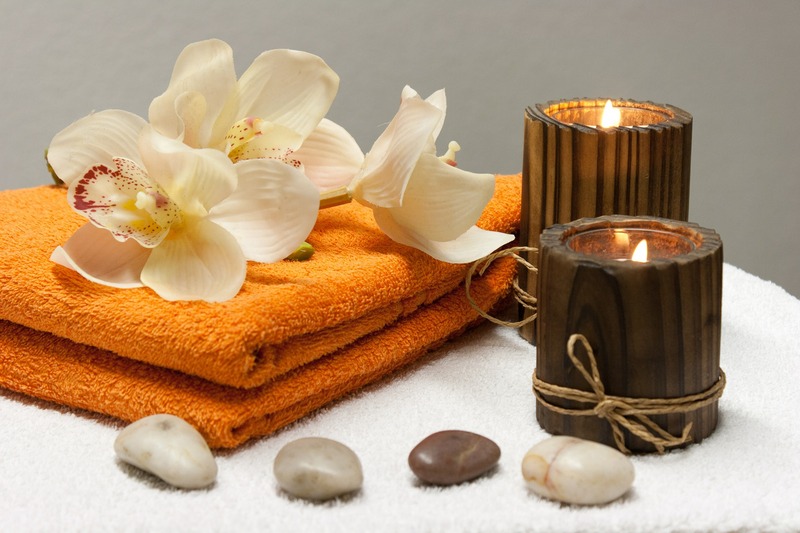 It is very beneficial for people who suffer from anxiety, stress, and insomnia. Since this herb is safe to use on children, lemon balm is effective for those who suffer from hyperactivity. Therefore, children who have been diagnosed as having Attention Deficit Hyperactivity Disorder (ADHD) will benefit from using lemon balm. Lemon balm helps your digestive system when you eat a spicy meal or over indulge at the all you can eat buffet. Lemon balm helps relieve the symptoms of indigestion such as heartburn, gas, bloating, and nausea. If you are suffering from the stomach flu, drinking a tea that contains lemon balms helps relieve you of vomiting. If you include lemon balm in your daily diet, the antiviral properties of this herb may protect from catching the stomach flu and other viral infections. Lemon balm contains healing properties. A cream containing this herb can be applied to the skin to treat conditions such as acne, eczema, and psoriasis. Because it has antibacterial properties, lemon balm can be used to treat cold sores, bee stings, mosquito bites, cuts, and scrapes. 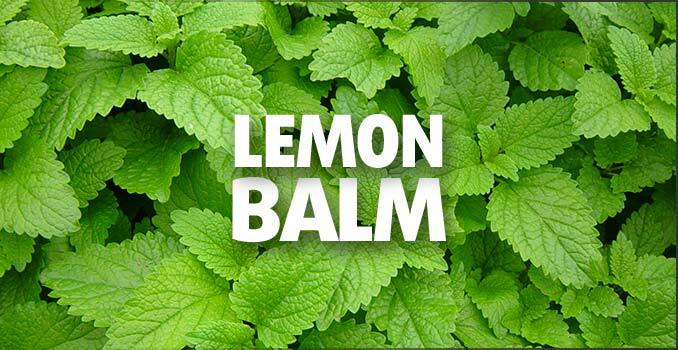 Lemon balm can be used as an insect repellent. 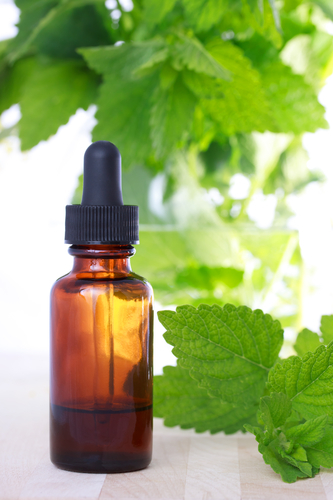 If you grow lemon balm in your backyard, take a few leaves and rub them over the exposed skin. This will keep the mosquitoes and other insects at bay. Lemon balm is a natural pain reliever. It is effective against backaches, toothaches, headaches and sore throats. 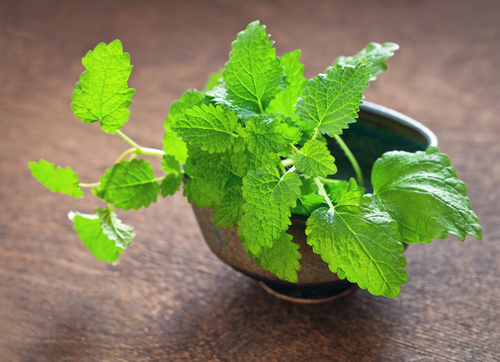 Before using lemon balm, it is important to talk to your doctor. Even though it is safe to take it can interact with any other medications and vitamins you are taking. If you are planning on using the lemon balm to treat your children, talk to your child’s pediatrician for advice. If you are planning to gather lemon balm from the wild, it is best to talk to a qualified herbalist since poisonous plants can easily be confused for lemon balm. Never consume essential oils. They are only meant to be used externally. Taking them internally can be dangerous. Greek yogurt has the taste of yogurt and the creamy texture and consistency of cream or cream cheese. Greek yogurt is made from fermenting cow’s or goat’s milk and then straining water to give the thick, creamy consistency. Other ways of preparing it are boiling milk for a little longer time to reduce its water percentage or adding cream to the milk to increase the density. But if you are conscious of your waist line then Greek yogurt prepared from regular curd made from double toned milk will give you almost the same flavor and texture. 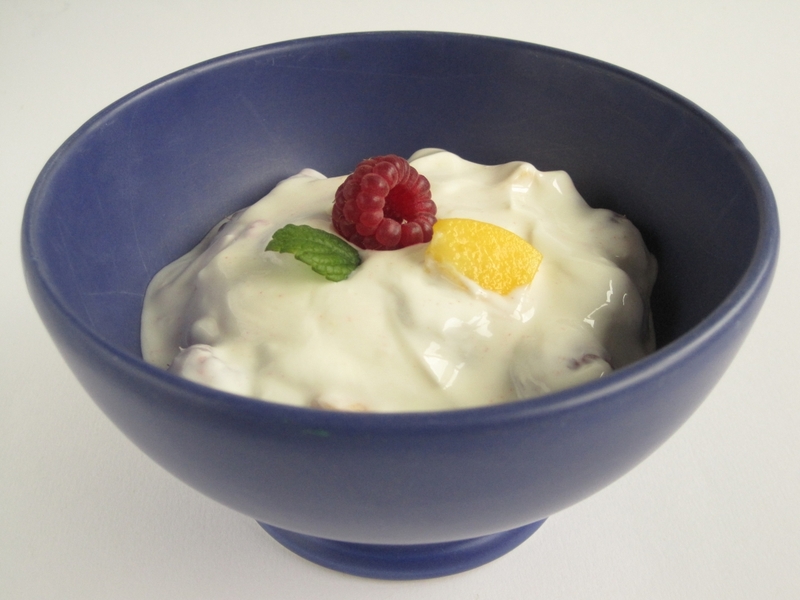 Lately, greek yogurt is finding its popularity amongst people due to its nutrition and taste. It is used in various dishes and can be substituted for mayonnaise, sour cream in the recipes to make it healthy without compromising on the taste. You can prepare Greek yogurt at home by leaving the normal yogurt in a muslin cloth for an hour and letting the water content drain out. For all those healthy conscious enthusiasts we have put together a few easy ways of adding Greek yogurt to your diet. These options not only are delicious but are packed with nutrition catering to your daily nutrition requirement. Greek Yogurt Dip: Add fresh finely chopped peppermint or coriander, onion and some spices like salt and pepper to the yogurt to create a tasty dip for your finger foods. This can be served with vegetable sticks or roasted potato chips. This small serving of dip has a minimum of 70 calories in it. Salad Dressing: Another healthy salad dressing option that just needs salt and pepper. This can be added to chopped carrots, bell peppers, cucumber, onions, tomatoes, rocket leaves, lettuce and even cabbage leaves. It gives the perfect creamy flavor and texture to the salad without taking away the health benefits unlike most of the packaged salad dressings available. 75 gms of salad with greek yogurt dressing will contain approximately 210 calories. Substitute for Milk: If you don’t like milk or are lactose intolerant and looking for a change in taste then you can enjoy Greek yogurt with breakfast cereals. Simply substitute milk with greek yogurt and add it to your bowl of muesli . The fiber of the cereal with its micro nutrients add along with the nutrition of Greek yogurt for better health. A small serving will have approximately 215 calories. If you wish to add fruits, then you can add another 50 calories to the original calorie count. Sandwich spread: Instead of using cream cheese or mayonnaise or other packaged sandwich spread Greek yogurt can be used to increase the nutritional value of the sandwich. The combination provides all the nutrition like carbs, fiber, protein and vitamins and minerals adding not much of calories. Eating a serving of Greek yogurt is only 90 calories approx and contains more of protein and lesser carbohydrates which keep you fuller for a longer time. Greek yogurt is a good source of calcium, thiamine, riboflavin, vitamin B12, and phosphorus. It contains no fat and adds no cholesterol to the body. It has similar health benefits as the regular yogurt. It is beneficial for people who are lactose resistant and promotes intestinal health. It helps build healthy bones, teeth and keeps muscles building. If you are on a weight loss diet, you can include it in your diet as it is low in carbs & calories. It contains lesser sodium than the regular yogurt. It also contains anti-cancer properties and enhances the better immune system.